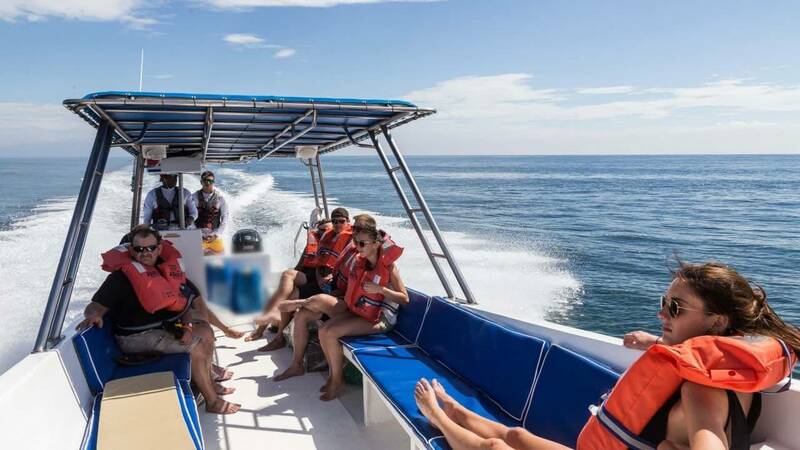 WITH OUR TAXI BOAT, YOU'LL SAVE TIME AND ENJOY TRAVELLING THE BEAUTIFUL PICTURESQUE WAY AS WE TAKE YOU FROM THE SHORES OF MONTEZUMA TO JACO ON OURS WATER TAXI BOATS, CROSSING THE GULF OF NICOYA, COSTA RICA. 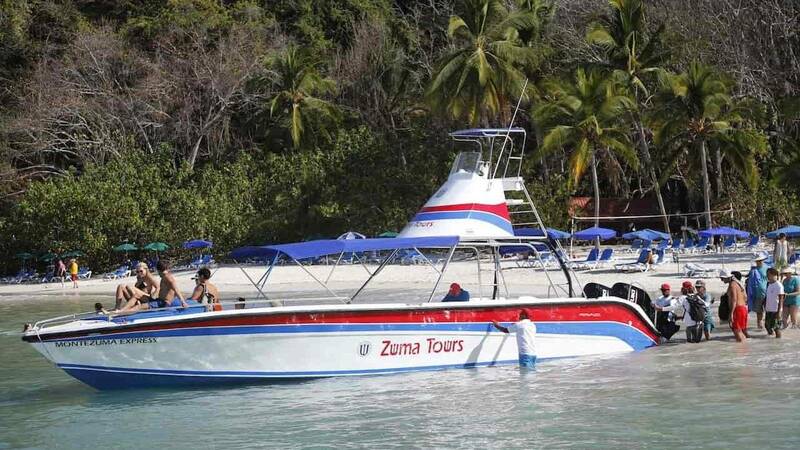 THE BOAT RIDE TAKES ONLY ONE HOUR AND IS THE FASTEST WAY TO GET FROM MONTEZUMA TO HERRADURA-JACO OR VICE VERSA. 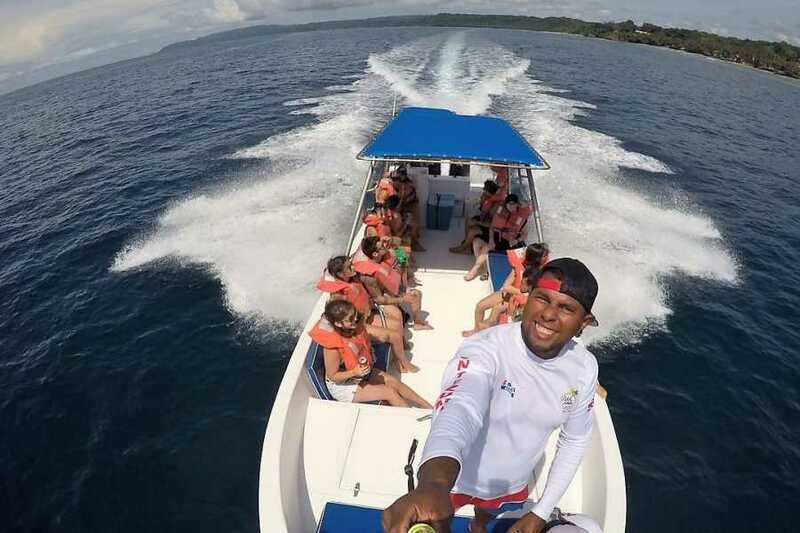 Of course, also to see the Nicoya Peninsula and it’s beautiful natural treasures like the beaches, waterfalls, good waves and much more, the best way of how to get to Mal Pais, Santa Teresa, Manzanillo, Playa Hermosa, Tambor, and Cabuya Towns. 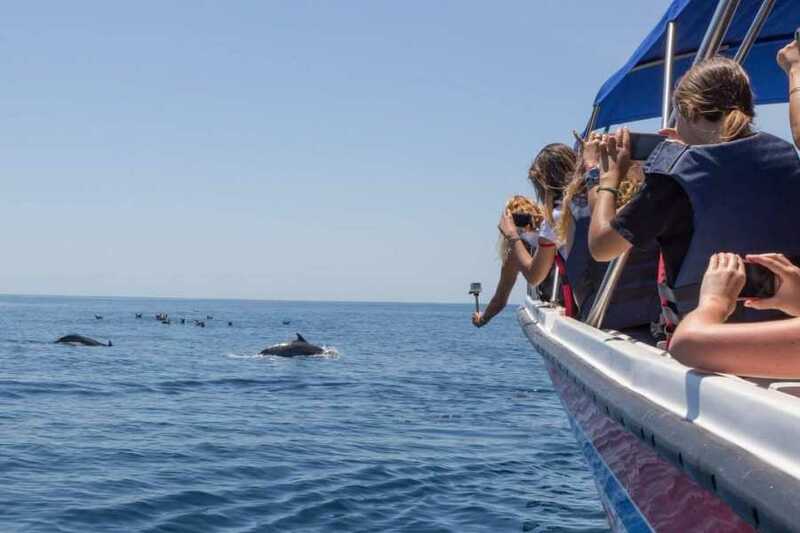 WE DEPART DAILY FROM MONTEZUMA AT 8:30 AM, AND AGAIN FROM HERRADURA BEACH, JUST A BIT NORTH FROM JACO BEACH, AT 10:00 AM FOR THE RETURN TO MONTEZUMA. 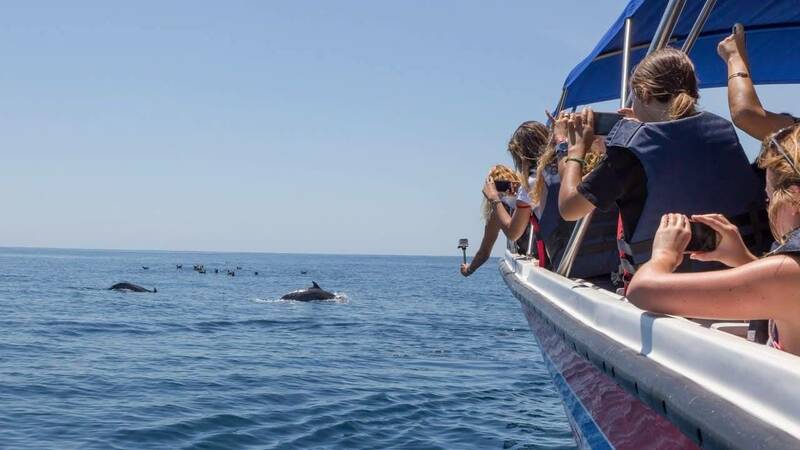 You will have the chance to see marine wildlife, like dolphins, rays, sea turtles and if you are lucky even whales on season. 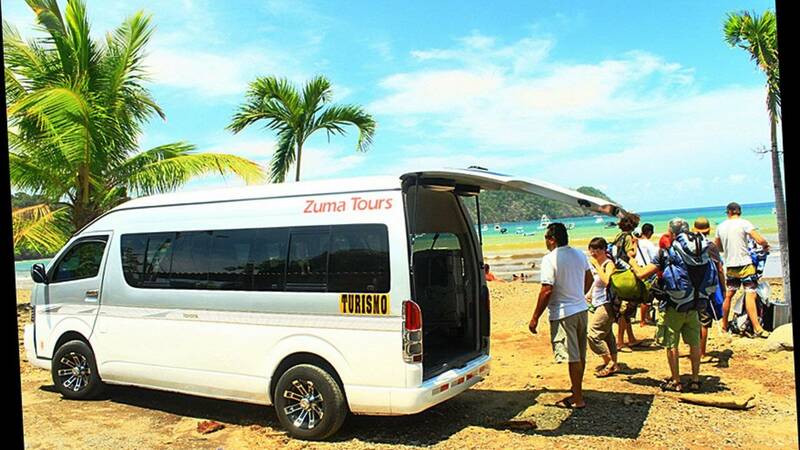 *We will be more than happy to arrange your LAND TRANSPORTATION FROM JACÓ TO MANUEL ANTONIO, DOMINICAL, UVITA, SIERPE OR SAN JOSÉ (AIRPORT) OR FROM MONTEZUMA TO MAL PAIS, SANTA TERESA, CABUYA, TAMBOR, or where you need to go in COSTA RICA on nice AC Shuttle Vans. 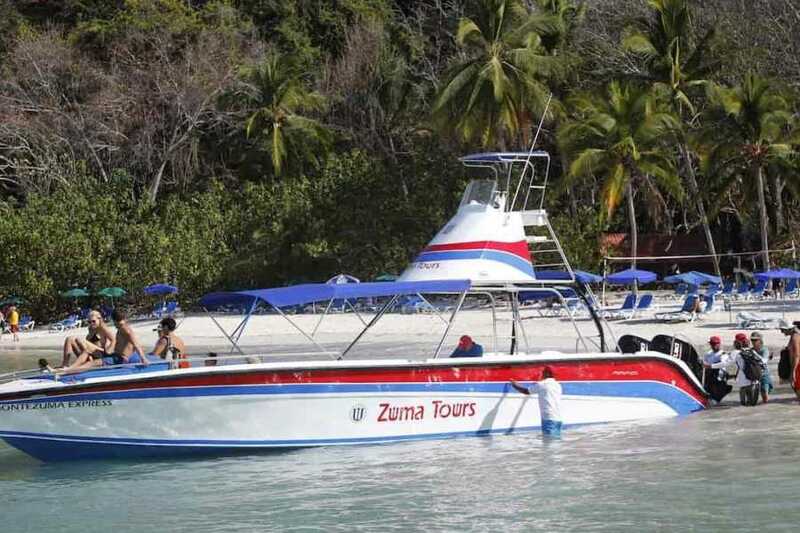 *OUR WATER TAXI BOAT LEAVES FROM MONTEZUMA BEACH AND HERRADURA BEACH NORTH JACO, THE REST CONNECTIONS ARE BY LAND. 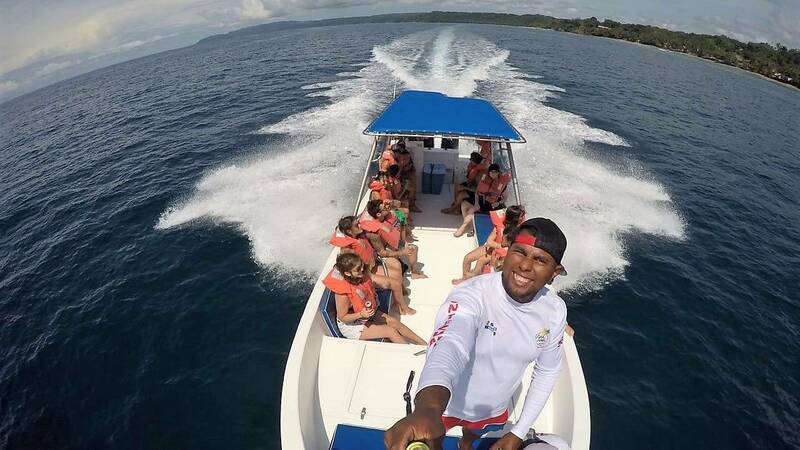 *Every Boat has a roof that covers about the 70% of it, and we have a fleet of three-speed boats for this service up to 40 people on the biggest one, with twin outboard engines 200hp & 250hp total, 2016 & 2017 Suzuki marine models and experienced marine crew. 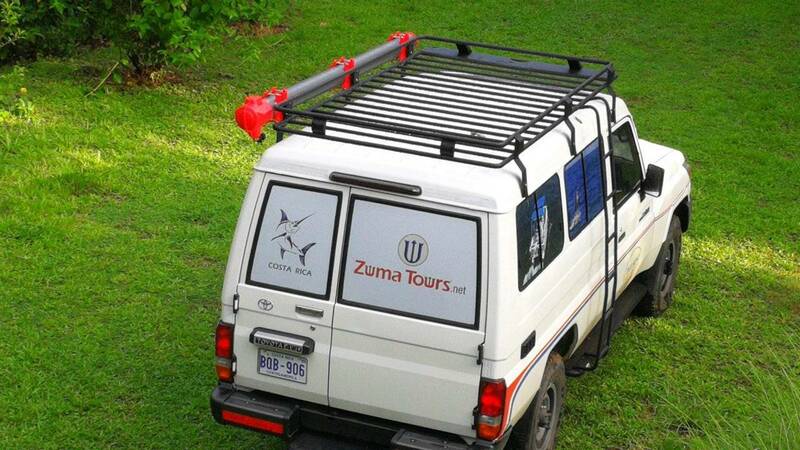 *Luggage: 22kg/50Lb maximum per person, normally one small and one large backpack or suitcases. *$5 for one Surfboard, $10 for two shortboards in a case, and $20 for longboards. 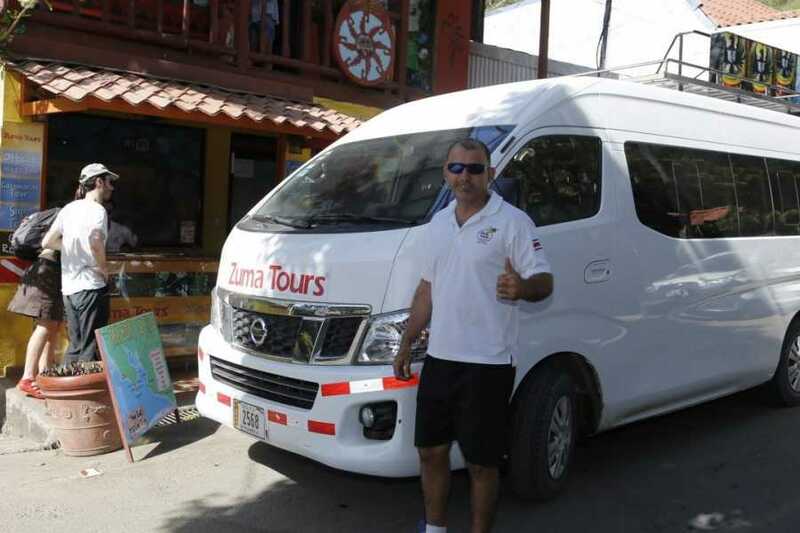 Mal Pais & Santa Teresa shuttle pick up is between 7 am and 7:30 am at the Hotels, villas or hostels. 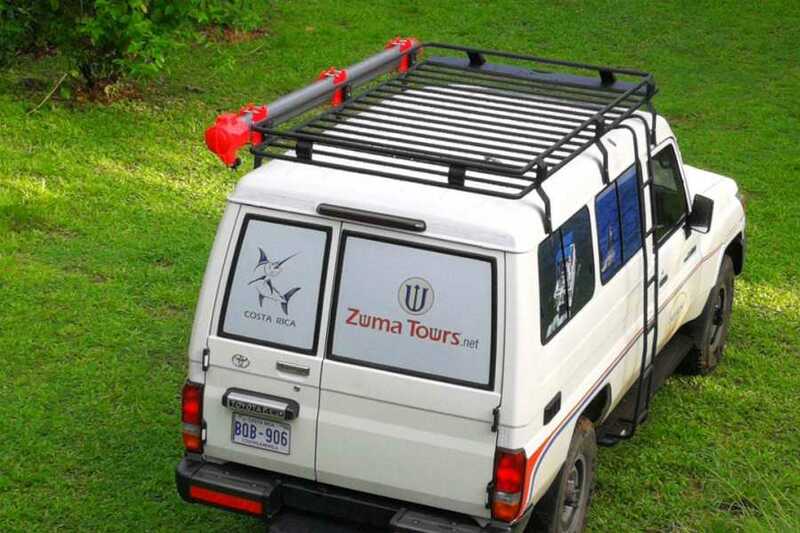 We can pick you up mostly at any place in a steep hill in a 4x4 car, 10-15 minutes before than the regular time, but GPS address is required, please only pass it to us the day before. 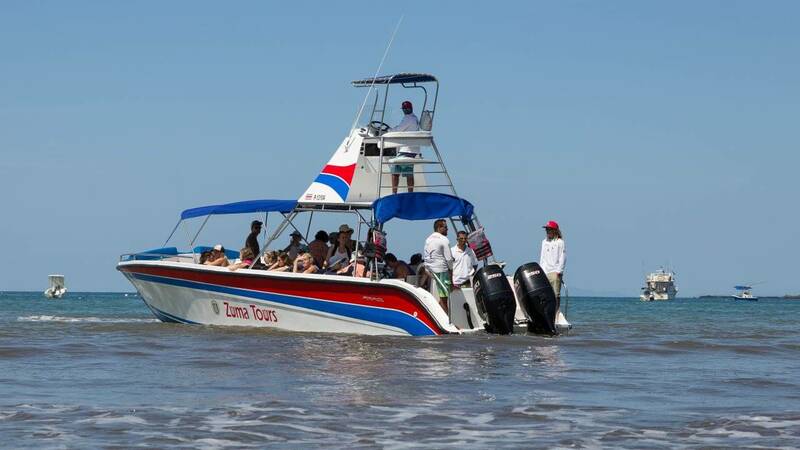 At 8:30 am the boat departs from Montezuma beach to Herradura beach, then ten minutes drive to Jaco downtown. 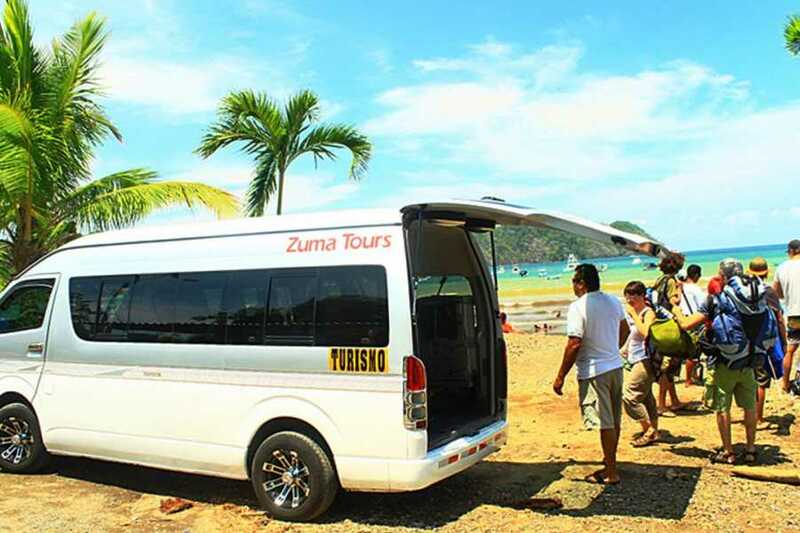 Jaco downtown shuttle pick up is between 9 am and 9:30 am at the hotels, condos, hostels, or if you are coming from another place you have to go to our office located at the entrance of Calle Bohio, which is, you can get drop off at Alamo car rental bus stop, where the buses coming from Quepos and San Jose stop at and walk one block south then right-hand towards the beach, next to La Perla Rest. 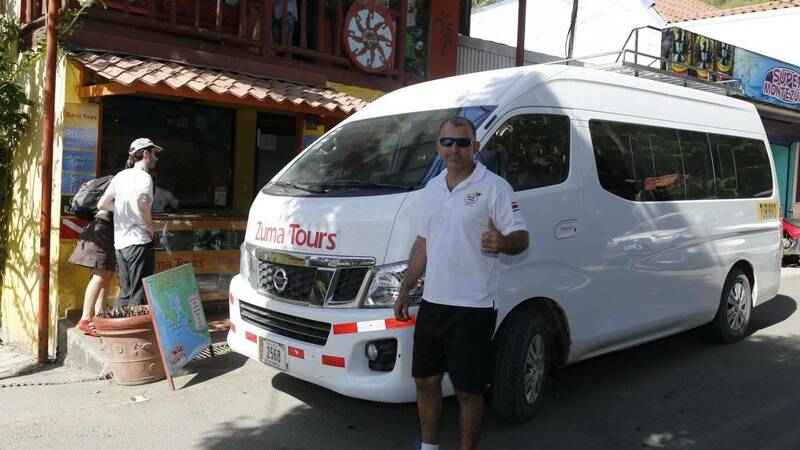 *If you are coming from San Jose by bus or shuttle you better get off at Plaza Herradura, and stay by Subway rest, we'll look for you there around 9:20/40am. 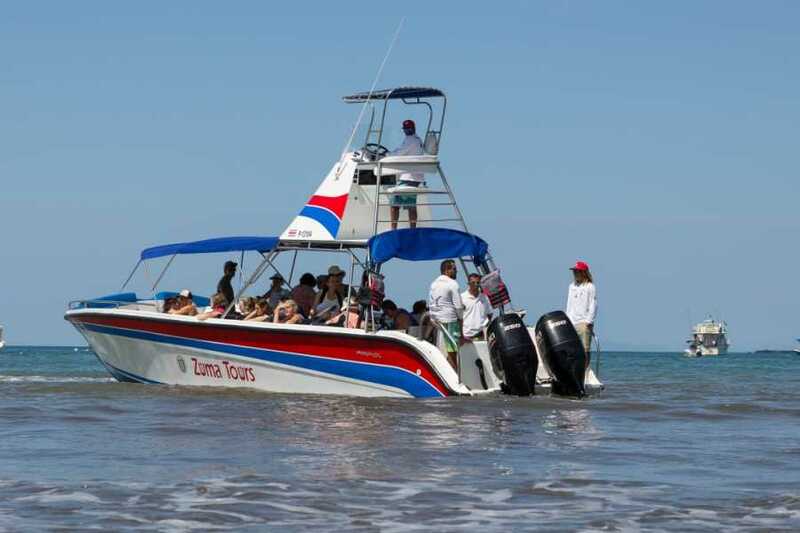 AT 10:00 am the boat departs from Herradura Beach, north Jaco. *Please try to be ready 10-15 minutes before in any of the locations. *We're trying to do our best to leave every day on time, most of the days we do it, even here on these beaches without docks and gas stations close to the sea. 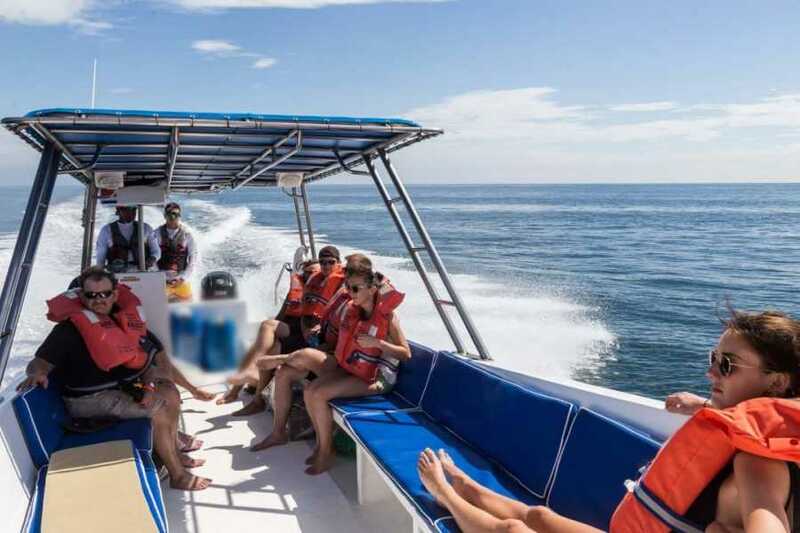 Also always there is a losing time while we pack your luggage, loading and unloading the boat, watching marine wildlife, or on days with rough sea, so please be patience, give us a hand if needed please and be Pura Vida!! !